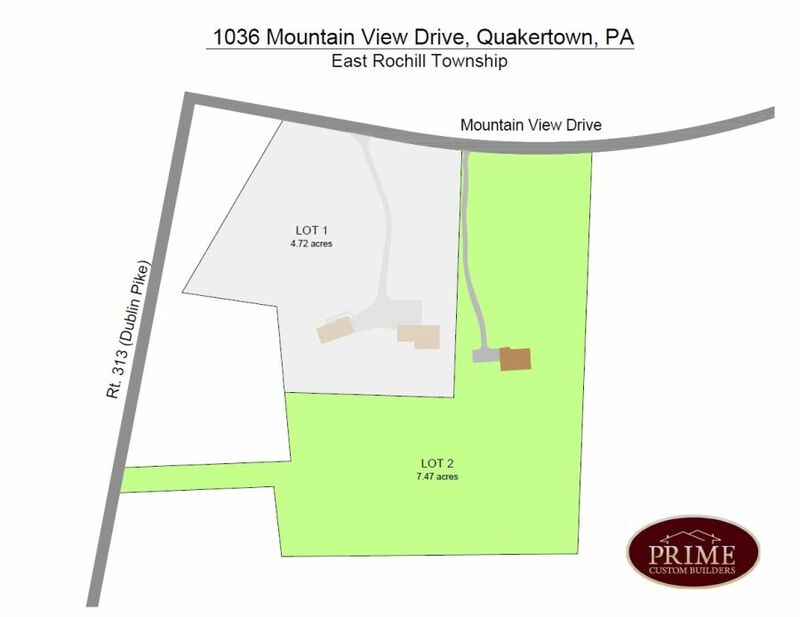 New Home at 1036 Mountain View Drive, Quakertown PA - 4 beds. 2.50 baths. 3015 sq.ft. 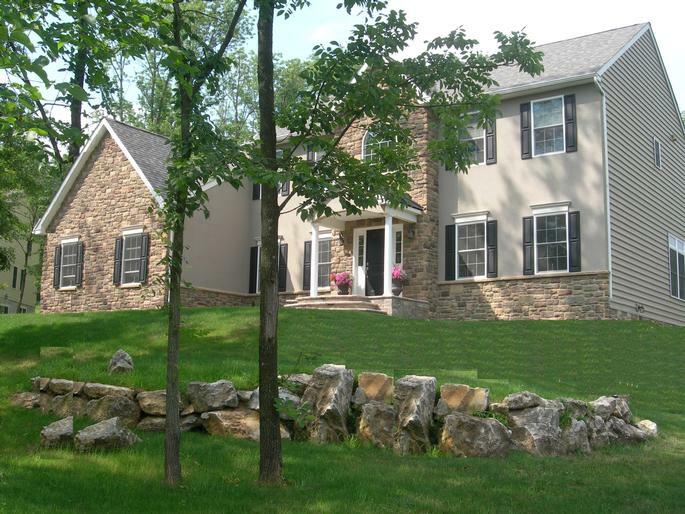 No Need to Keep Dreaming - Your Dream Home is Now Within Your Reach: One of Doylestown's most well-respected Design/Build firms, Prime Custom Builders, stands ready to craft the perfect home for you and yours on a beautiful & spacious lot near Lake Nockamixon. 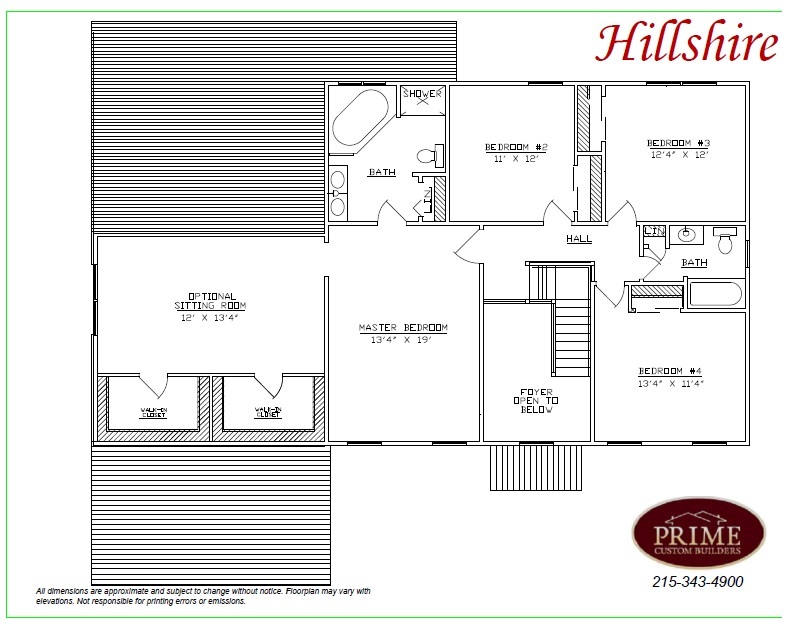 The Hillshire model, to be built, features over 3,000 sq. ft. of luxuriously appointed living space with amenities galore, including: 9' Ceilings on First Floor, with gas fireplace and vaulted ceiling in Great Room, Gourmet Kitchen with spacious & sunny Breakfast Area, granite countertops, GE Appliances. Luxurious Master Suite includes walk-in closet and lavish bath with double vanity, soaking tub, and separate stall shower. Three additional bedrooms and another large, full bathroom complete the second floor. Best of all, YOU get to choose the finishing touches that suit you and your lifestyle. A three car side entry garage is optional as is a separate sitting room off the Master Suite. You can choose a variety of high quality finishing materials including stone or stucco exterior, beautifully crafted kitchen cabinetry, hardwood flooring and wall-to-wall carpeting. Schedule your showing and a no-obligation consultation to see how we can help you make your Dream Home a reality. Builder's Package is offered in conjunction with perc approved building lot listed as MLS# 6852222. Lot is available separately for completion by builder of purchaser's choosing or as part of the Builder's Package described above. 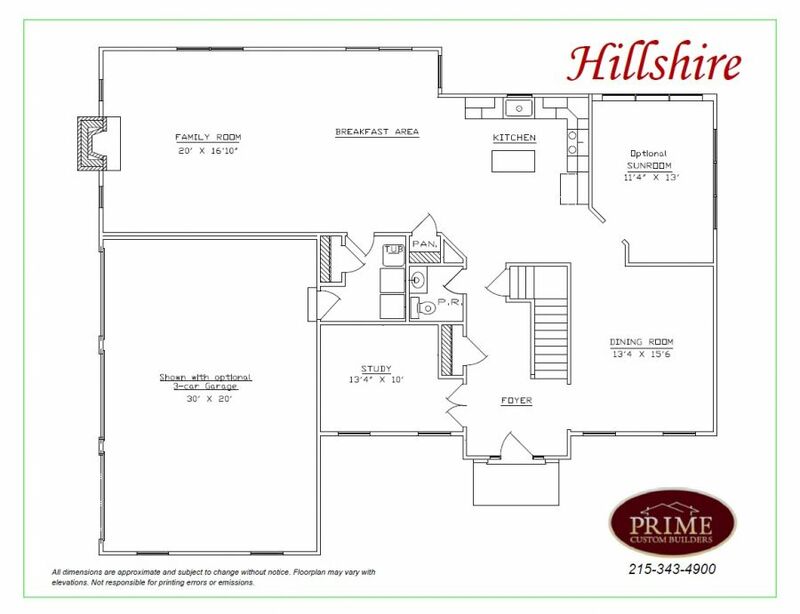 Listing Price is for the lot and the standard "Hillshire" Home offered by Prime Custom Builders as described in attached documents. Full Customizing is available and will affect the purchase price.